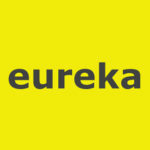 Eureka Design architects take inspiration from Edward Hopper. It was personal deciding the direction and story of our characters. For the interiors, Eureka Design took inspiration from the film Shirley: Visions of Reality about the master painter, Edward Hopper. Hopper is an artist I admire for his sense of colors that inhabit an imagination of soulful characters. His paintings seem surreal. There is this emotional longing in his characters, as it borders between the lines of fantasy and reality. I was inspired by the film ‘Age of Adaline’ about a female character who never ages. While others grow older, she leaves before they notice she has not. Ultimately, the character finds a man she wants to stay with forever. The first scene opens with ‘Adaline’ outside the boutique looking in. Scenes show Adaline linger perusing the wide selection. It gets completely dark outside, and our male character ‘Ellis’, offers her a sampling of wine. Even with subtle hints that it is almost closing time, Adaline is hesitant at leaving. Years, lovers, and glasses of wine. These are things that should never be counted. WE GAVE IT OUR ALL PLANTING PLAYFUL PROPS IN THE SET DESIGN. Eureka Architects handed us a blank slate to create scenes in their design. Colorful, freshly painted, vacant shelves and empty bins were beginning to be filled with products for the set design and scenes. Given carte blanche, we ‘played as we wish’.